Traveling Postcards and the Women’s Wisdom Initiative is made up of advisors and a board of directors who provide a range of experience and expertise in business, finance, psychology and the arts. Each member is committed to ending gender -based violence and sharing stories of resilience. Founding Director of the Women’s Wisdom Initiative. Caroline is a Transformative Artist and compassionate counselor with a deep commitment to affecting change for women through creativity and self-expression. 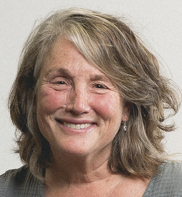 In 2013 she created the Women’s Wisdom Initiative an arts and social change organization that empowers women to share their unique wisdom across borders and brings awareness to humanitarian inequities facing women worldwide. She has a BA in Psychology and Fine Art from the University of Richmond, an MA in Transformative Art and a Masters Certificate in Leadership for Sustainable Change. She is the recipient of the Arts and Healing Network award. Executive Vice President Product and Operations at Ruby Ribbon. Apparel Retail Supply Chain specialist with 20+ years of apparel manufacturing and retail experience, focused on streamlining the product development and sourcing pipes in the supply chain through both operational efficiencies and technology. Operations, Supply Chain Strategy, KPI development, PLM, liaison between business and technology. PLC (product life cycle) consultant. Professor FIT designed and implemented Technical Design course on site and online. 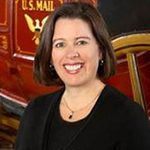 Director Technical Design Gap Inc.
Amanda is a wealth advisor located in the Corte Madera Wells Fargo Private Bank office. She is responsible for working with high-net-worth clients to effectively manage their wealth, first by identifying each client’s unique goals then coordinating a team of specialists to implement custom, comprehensive wealth plans to help accomplish those goals. Ms. Weitman began her career with and has been with the firm since July, 1983. Ms. Weitman earned a Bachelor of Arts in Business Administration and Economics from Principia College. She received her MBA from Golden Gate University and she earned the Chartered Advisor in Philanthropy designation from American College. Ms. Weitman is a native of Marin County. She serves on several local non-profit boards. She is married with a college age daughter and a step son who is a naval officer. Heather serves on a volunteer basis as an advisor for WWI. 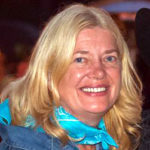 She is currently the Chief Financial Officer of Peninsula Open Space Trust in Palo Alto. Prior to POST, she was the CFO/VP of Finance & Operations at several local nonprofits including the Marine Science Institute and Business for Social Responsibility. Prior to her non-profit work, she was the VP of Supply Chain Finance at Gap Inc. and a senior auditor at Coopers & Lybrand in Boston, where she received her CPA. Heather started her career as a park naturalist and environmental educator. She holds an MBA from Simmons College in Boston where she developed her interest in gender issues and women’s leadership. She also holds a Masters in Experiential Education from Minnesota State University and a Bachelor of Arts from Hampshire College in Amherst, MA.